For those present at the Inch point-to-point run under the auspices of the Killeagh Harriers, the 2011 renewal was a day out to savour. On Wednesday 20th April in glorious sunshine, the woodland setting at Ballyanthony, Tallow, County Cork saw eight races run off and the general opinion was that organisers had done a good job with the racing surface. 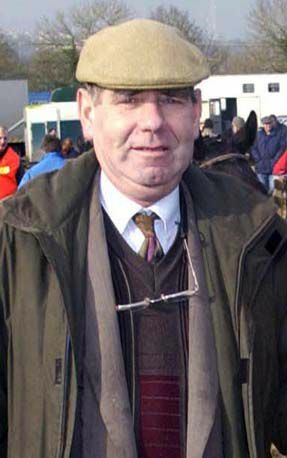 Willie O'Neill is a man strongly associated with this meeting and the well-known point-to-point enthusiast and owner now fills the vice chairman role. (© Healy Racing Photos)He explained: "First of all the soil there is black soil and it is inclined to hold the water longer than other soil. We watered it two nights in a row and we made a great job of it. We got fierce praise and everyone said it was top-class. "The village of Inch is about three miles from the course. There is only a church, a graveyard and a hall there now. It would be heading in the direction of Youghal - off the Youghal/Tallow road. "Flor and Carmel Harnedy are the land-owners. They are not great racing people but they are horse lovers, with an interest in breeding. Flor is a great man to work with, a lovely cool man - a gentleman. "I was the first chairman myself and then Nicholas Kelly was the next chairman. Then we had Joseph Fitzgerald and then we had Kevin Galvin who took over this year. "We have the same treasurer since we started. Tom Walsh  he is our backbone man. If you have a good treasurer it is better than any other man on the committee because he's the man that keeps the accounts. He is unbelievable  he has made a few attempts to go but we asked him to stay on. He'll stay on I'd say  he'll die in the job I think! "He loves it as well. His wife and family are very helpful as well. 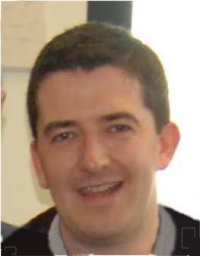 "Then we have Sean Donnelly who is the assistant treasurer. "It is more or less the same people since we started. "It's a lovely setting there. Facing the south and on a nice day it is a lovely place. It is a remote spot but having said that people are used to it at this stage and we've never had a bad crowd there yet. "Jim Dreaper was there last year and he had a runner and a winner (Royal De La Thinte). He was fascinated with the place and everytime I've met him since he's commented on how well the meeting was set-up and how professional the whole thing was. "Hussard Collonges won his maiden with us in 2000, beating a mare of my own. Terry Ryan had him then and he went on to win the SunAlliance Chase in 2002. "Silver Birch (2007 Grand National hero) won there too. I met Connie Keeffe (who had him then), about a fortnight before he won and he told me he had a very good horse and that if he was able to win in Inch that would prove it. "Jimmy Mangan's good horse won there, the horse that won the Galway Plate (in 1997), Stroll Home. "Finian's Rainbow, the horse that was placed in the Arkle this year and went on to win in Aintree, fell at the last in Inch when clear. He came out of the bunch like a bullet that day but he fell at the last. John Mangan said to me that it was the best five-year-old race of the year. "There is a few other good horses that have won there that I just can't think of now. It is a staying track, you'd want a horse that stays there. "Killeagh was always our race-meeting but we had a race-card going back to 1924 of racing at Inch in a place called Rath. In 1995 we sent the 1924 race-card to the Turf Club and when Bill McLernon came down to have a look he said we had a fabulous course. "He said he'd have no hesitation recommending it and we drove on from there. The first year we had a fierce entry but in the last four or five days the ground got savage dry. We only had about 60 runners or something like that. It was okay but that was kind of the only blip we've had. "It's always the Wednesday of Easter week that we race or maybe the Wednesday after it sometimes if Ballynoe came close to it. 'Spy Wednesday' is our preferred day though. "We seem to be the only crowd that would draw people of a Wednesday. There were a couple of Wednesday meetings a few years ago and there was nobody at them - absolutely nobody. "We are just a very lucky place where we are and we get great support and we always give a few pounds to the local community. If we have a little bit left over - we keep the same money every year - what's left over then goes to the local school and the church. We give them all a bit along the way. "We get fierce support from up the east coast  Wexford and Carlow  we get a lot of people from there. Jim Mernagh was there the other day and the Berrys always brought horses there. In fairness to Padge Berry he always brought horses there. "We've only lost two horses in Inch since 1995. One of them shouldn't have been killed at all. A young fella rode a horse into a fence when he was 'drunk' and he shouldn't have jumped it at all. Last year an eight-year-old horse broke his leg there but he'd broken down before. "We had thirteen races there one year and two fellas got hurt and had to go away in the ambulance and we had to wait for an hour but we still got finished early enough. "A few years ago the fog came down when the people were already there. We couldn't race but after getting on to the Turf Club we raced the following day on Holy Thursday. "You have to run your meeting under a hunt and we are under the Killeagh Harriers. We are two different committees  Inch point-to-point run under the Killeagh Harriers. "We pay the Killeagh Harriers a subscription every year. They run their own meeting in Killeagh (in January) and we run the meeting in Inch. We are two separate committees. "I've had a few good horses myself down through the years. All the 'Inch' horses. I have one at the moment called Inch Rover (the ladies football team of the same name won the All-Ireland beating Carnacon in the Final  giving a lot of enjoyment to the locals in recent years. Received a presentation at this year's point-to-point) and he was fourth last Sunday at Quakerstown with Derek O'Connor up. "Liam Burke trains for me but John Kiely had my first winner for me. She was called Inch Lass. I had a mare before that too called Good Calx and she bred Master Bob who won the Kim Muir Chase in 1990. "I've taken up seven horses to County Limerick and Tipperary and everyone of them won. Last Sunday was the first time I got bate outside my own county in racing. "Inch Pride  the mare I sold to Pipe and Johnson was probably the best mare I had. "She won in Lisgoold for Liam Burke. I told the whole place to back her and she ended up 4/7 from 3/1! She went to Bruff then and she was beaten in a bumper in Roscommon when she should have won. After a break then she beat one of Willie Mullins' in Clonmel before I sold her to David Johnson. There was three of us into her and we were delighted to see her winning so many races when she went over (six times, mainly under Timmy Murphy). "Inch Lady was a hell of a good mare too. She fell at the second last in the Irish Grand National the year Ebony Jane won it. Trevor Horgan rode her. "Inch Cailin was another good one, winning three point-to-points on the trot and I sold her to my first cousin and she won plenty of races on the track for him. "I never buy pedigrees, I just buy what I see in front of me. "Inch Sunset was a good little mare as well. Inch Empress won a point-to-point for me before I sold her and then she got hurt. "Inch Rose's mother was after breeding five of the worst horses ever bred and the day I bought her a man said to me that you are an absolute genius if this mare ever wins. "She began by beating the geldings at Lisgoold. She then won easy at Bruff and she then won the mares final in Ballynoe by two fences. "She went to England and won for Noel Chance. She went to Cheltenham in the four-miler and the ground was good. I thought she had no chance but she finished second beaten six lengths. She was a tough lassie. "I have a couple of mares at the moment but you can't sell them at present. I have to buy horses now  I had some good geldings in the past too  Inch Fountain, won one day in Kill by a distance. I sold him for good money afterwards. "Inch Champion was another that went on to win a couple for Tony Carroll."